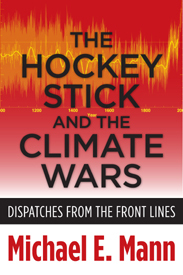 Michael Mann is the principal creator of the (in)famous ‘Hockey Stick’ graph which showed that the warming of the Earth’s atmosphere over the last 100 years is in excess of historic warming, and clearly linked to increased CO2 emissions. The graph achieved great prominence, as a result of which he became a target of the fossil fuel industry, in particular during the co-ordinated assault on climate science known as ‘Climate Gate’, where emails, including his, were hacked from the University of East Anglia. In this passionate and compelling page-turner, Mann comes out fighting, puts his side of the story, restates the science behind it all, and what it feels like to be on the receiving end of an orchestrated campaign to discredit him and his work. Vital reading. 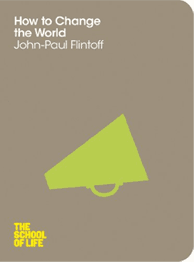 John-Paul Flintoff (2012) How to Change the World. The School of Life. A big question, but in this small but beautifully laid-out book Flintoff takes it on with great gusto, drawing from Transition to Camila Batmanghelidjh, from Rosa Parks to his tales of leaving vegetables on his neighbours’ front door steps. Like any meaningful book on how to make change happen, it has one foot in his own experience of trying the make change happen where he lives, in his life, in his community. That, for me, gives it a richness, a humour, and a depth that I really valued. 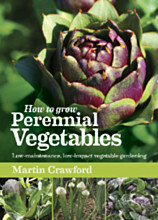 Martin Crawford (2012) How to Grow Perennial Vegetables: low-maintenance, low-impact vegetable gardening. Green Books. Regular readers will know that I am a huge fan of Martin Crawford, and his amazing work pioneering agroforestry in the UK context. His latest book is a plant-by-plant guide to over 100 perennial vegetables and everything you could ever want to know about them. He also sets out the advantages of a perennial garden over an annual one, and how to design for perennial plants. An essential addition to any permaculturist’s bookshelf. 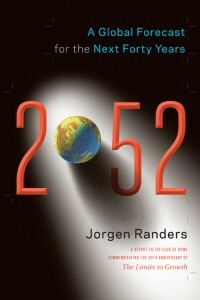 Jorgen Randers (2012) 2052: a global forecast for the next forty years. Chelsea Green. Randers is one of the team that created the original ‘Limits to Growth’ report in the 1970s. Here he looks forward over the next 40 years, analysing the trends that will define 2052. It is alternately deeply illuminating, frustrating, at times wildly depressing, hugely clarifying yet always considered and very hard to argue with. His conclusions are what he calls “quite gloomy … not catastrophic”. His ‘Twenty Pieces of Personal Advice’ I will explore in later posts here will divide opinion but certainly can’t be accused of taking a safe and unchallenging route. Stephen R.J. Sheppard. 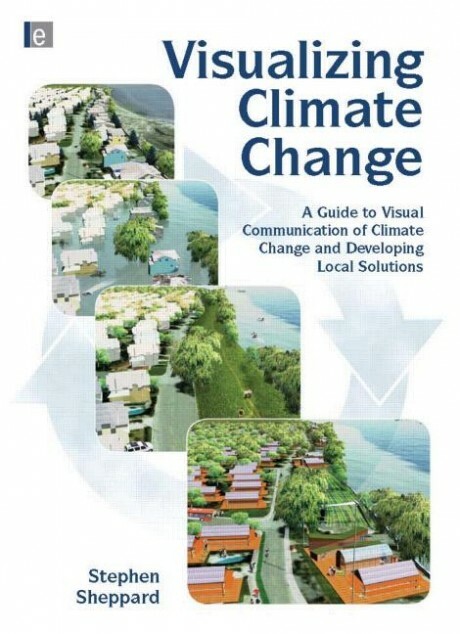 (2012) Visualising Climate Change: a guide to visual communication of climate change and developing local solutions. Routledge. One of the aspects of Transition revolves around trying to vision the kind of future we want to see. This book tries, in a similar way, to bring the predictions and the future reality of climate change to life by making it visible. What does a ton of carbon dioxide actually look like? How would the place you live look were it to be 2°C warmer than it is today? How might it look designed around public transport and walking? Both chilling and inspiring, it uses the latest in computer imagery to show the kind of world that will be created by our inaction today, but also the kind of world we could create if we can muster the collective will. 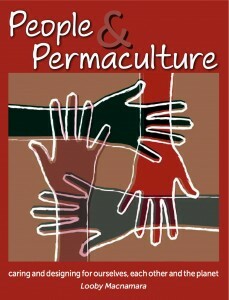 Looby MacNamara (2012) People and Permaculture: caring and designing for ourselves, each other and the planet. Permanent Publications. While there have been many books on the nuts and bolts of permaculture, the design system, the plants, etc, there hasn’t yet been on that focuses purely on the ‘peoplecare’ aspects of it. It argues that in order for permaculture to really work and to embed itself, it needs to address relationships, and how we work together as people and as communities. Containing over 50 practical exercises, it is a rich exploration of how to do permaculture in such a way that it is also attending to the ‘inner’ aspects of the whole thing. 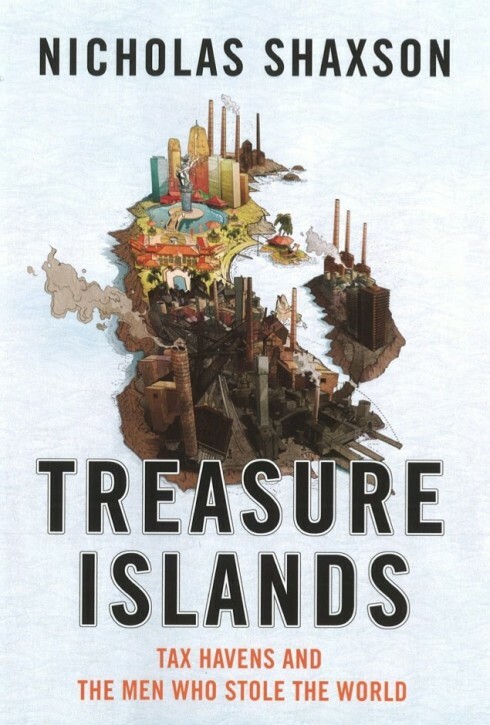 Nicholas Shaxson (2011) Treasure Islands: tax havens and the men who stole the world. Bodley Head. Not much to say about this here, as I only recently interviewed the author about this book, but I thought this an extraordinary book. Something I had vaguely heard of but knew very little about is brought into such clarity and focus, and the book bristles and seethes with the sheer unfairness of the whole thing. Essential reading. Michael Shuman. 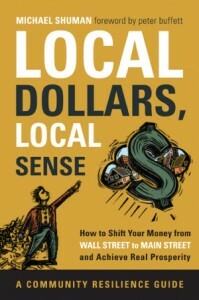 (2012) Local Dollars, Local Sense: how to shift your money from Wall Street to Main Street and achieve real prosperity. Chelsea Green. Shuman is one of the great thinkers of the localisation movement, and although this is a US publication and doesn’t necessarily transpose entirely to the UK context, his argument is just as relevant here. The vast amounts of money sat in pension funds, savings accounts, life insurance and stocks and bonds needs to be moved, her argues, to the creation of resilient local economies, supporting new enterprise and new economic activity, rather than the continuation of the current, morally bankrupt model. He presents a wide range of possible models that can make this happen. Nail a copy to the Bank of England’s door. 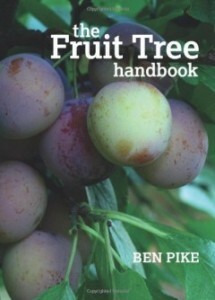 Ben Pike (2012) The Fruit Tree Handbook. Green Books. Here is a beautifully created guide, for the amateur and the expert on the care of all manner of fruit trees. It covers orchard design, choosing your species, tree care, a great guide to pruning with wonderfully clear illustrations, and how to harvest and store the results of your hard work. Heavily laden with a rich crop of hard-won experience, it is a delicious companion for anyone who already has, or wants to create, an orchard on any scale. Figs, peaches, nectarines, cherries… need I say more? 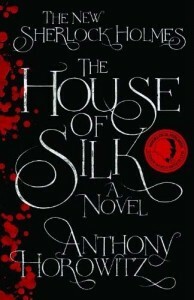 Anthony Horowitz (2011) The House of Silk. Orion. And finally, something completely different. The first new Sherlock Homes novel approved by Sir Arthur Conan Doyle’s estate since his death is an absolute cracker. I am reading it with my 13-year old at the moment, and it’s an edge-of-the-seat, gripping, unputdownable page-turner, virtually indistinguishable from the original tales. I don’t get to read many novels, but this one, from page one, had me back in Holmes’ Victorian world of gaslamps, horse-drawn carriages, fog, and dark secrets that only the great detective himself can unravel. Highly recommended. Hey I am so pleased – thanks v much Rob! Rob, If you haven’t heard it Anthony Horowitz on Desert Island Discs is a very amusing and interesting listen. So far in my reading of it, _What Comes After Money_ seems to really understand the ideas of debt, the current economic crumbling and impending implosion, the massive economic paradigm shift that is upon us, and the aspects of human existence that our current econ system disavows. It runs the gamut from macro to micro. There is an essay on appropriate scale (admittedly I haven’t read that one yet) and some pieces on local currencies/LETS/time banking. Some of the explorations and ideas in _What Comes After Money_ go hand-in-hand with the content of Tim Jackson’s TED talk and what you have posted online about Jackson’s Totnes talk. In the intro to _What Comes After Money- Daniel Pinchbeck talks of interrogating and anyalyzing the underpinnings of our current destructive social order, and reaching beyond proposing alternatives into implementing them. That mission is completely beyond many other writers, but so far in my reading, the essays Pinchbeck & Jordan selected do a pretty good job of it. Am half-way through Sacred Economics by Charles Eisenstein and loving the depth of his analysis. Ditto Treasure Islands and Nicholas Shaxson. This is the part of Transition that interests me the most; inequality. I think it is important to understand the financialisation and offshoring of the surplus, and Shaxson’s focus on ‘Secrecy Jurisdictions’ really highlights how information is used and subverted for narrow interests. Shortly after finishing the book I was thumbing through a copy of The Economist and noticed services offering help in promoting this type of financial ‘wizardry’.